The crusher breaks the large size of the natural gypsum ore into small pieces of less than 30mm. The amount of feed is controlled by storage and electromagnetic vibration feeder, then the materials are transported to the mill for grinding, and the screening machine is used to screen the required fineness. 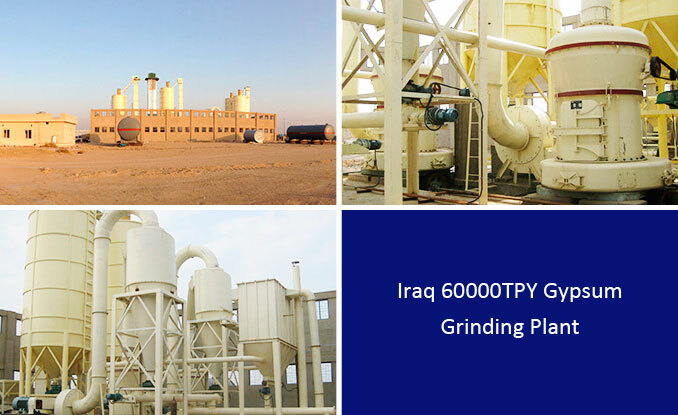 The qualified grinding powder is transported to the boiling furnace for calcination. The qualified gypsum powder after calcination is fed into the hopper or product workshop. 1. Advanced technology, mature and stable process, widely used in gypsum board production plant at home and abroad. 2. The selected equipment is reliable in quality, has strong expansion, productive capacity , low price and easy maintenance. 3. Good sealing, high efficiency of dust removal, no dust pollution. 5. The fully integrated automatic control system reduces the labor intensity of the field staff.